More than half the wonderful clients Dikonia works with are stumped when presented with wireframes. The concept of a wireframe is fundamental to proper task execution yet very few vendors and developers make use of it. 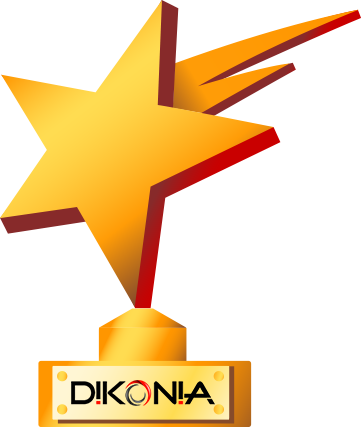 We at Dikonia have created a culture of excellence. Our CEO Mrs. Chhavi Firani is a consummate project management professional and she has brought her meticulousness to the way jobs are handled in the company. We create wireframes, software requirement specifications (SRS) for commissioned assignments and also facilitate the same as stand-alone services. We are famous for maintaining documentation of on-going tasks to help our patrons better evaluate progress and form an end vision of success. The first layer is the foundation of the project. It simply lays out the different elements that every screen of the website, the software solution or the mobile application will have and how they will be arranged to ensure that a user is gently nudged towards the final goal. This goal may be a sign up, a purchase or even exploring further features and functionalities based on the requirement of the asset being developed. The second layer pertains to the visual and aesthetic aspect of the finished product. Wireframes rarely ever include placeholders for galleries, images and logos but they can indeed be used to create a richer picture of the final asset for the client. The third and final layer of a wireframe sees the collaboration between a developer and a designer. This phase is often the trickiest and thus has to be finalized prior to execution. It stands for how the functional half and the visual (or aesthetic) half of the intended product can come together for a sleek, modern and engaging interface and rewarding user experience. Dikonia wireframes are detailed, precise and self-explanatory. We always create this visual representation from our understanding of the project requirements and thus eliminate confusions and vagueness early on. We are proficient at the use of wireframing tools like Balsamiq and Axure and use them to go above and beyond the expectations of our clients with an end result that is completely aligned to their initial vision. Understanding, co-operation and collaboration are the pillars of great work. This is why the creation of the initial Software Requirements Specification (SRS) document is considered almost as important as the actual back end development and the front end design. We at Dikonia never embark on a new project journey without a SRS that is assembled by trained technical writers. This final SRS document is an accurate representation of the flow of a project and the tasks, and sub-tasks that will be handled by each expert assigned to the job. Clients are requested to comment on this asset and their feedback is incorporated to create the formal SRS that guides the project. The “parent” document is then sent to the department leads who fill in the technical, graphical and UX details so that their team members have an easy time following the directions. Our SRS document is precise, detailed and unambiguous. Post the orientation meeting with the client, the members involved compile their high level understanding of the project, its goal and vision and send it over to the in-house SRS expert. This individual chooses a template from our existing repository and develops a condensed and succinct requirements document that breaks the project down into the various key components to be created from scratch to the desired end result. All subsequent project management documents and wireframes follow the requirements that are laid out in the SRS. With this approach, Dikonia has a 100% success rate and is considered to be an international quality provider that takes what a client needs, improves it for the perfect software, website or mobile application and gets it right – the first time.